1/47 Amanda Jones I can't believe this silly little movie is my favorite of the year so far, but it just is. 2/200 Max Braden Another romance with great balance. Great use of music. 7/52 Les Winan A perfect vehicle for Will Ferrell, who is bolstered by a terrific cast (also: Queen Latifah). Never missteps despite many opportunities. 55/159 David Mumpower Cute premise never really goes anywhere, but it delivers exactly what is promised. Marc Forster, who received a substantial amount of critical attention for his direction of Finding Neverland, returns to helm Stranger Than Fiction. 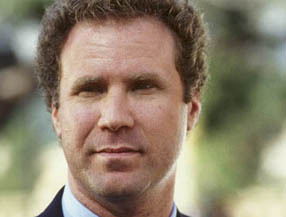 Will Ferrell portrays an IRS agent named Harold Crick. His world goes topsy-turvy when he begins to hear his life chronicled by a narrator. The catch? No one else can hear this mysterious voice. This narrator happens to be a real-life novelist named Kay Eiffel (Emma Thompson). She's a rather forgotten author of tragic stories, and is struggling to finish her latest and best book. As she writes, she is completely unaware that her protagonist is actually alive and completely under the control of the words she writes. When Harold hears the Narrator mention that events have begun to occur that will ultimately result in his death, he realizes that he must take action. See the latest developments for this project on the Stranger Than Fiction Movie News page.